Set in a location that’s close to the main theme parks and attractions in Orlando, Fantasyworld Resort is perfect for families who want to experience the magic of Florida. The rooms are ample, sleeping up to six people and each come with cable TV, Wi-Fi as well as a fully-equipped kitchen with laundry facilities. There are scheduled transportation services to the famous theme parks and all the main attractions including Walt Disney World, Universal Studios as well as various shopping outlets and golf courses. 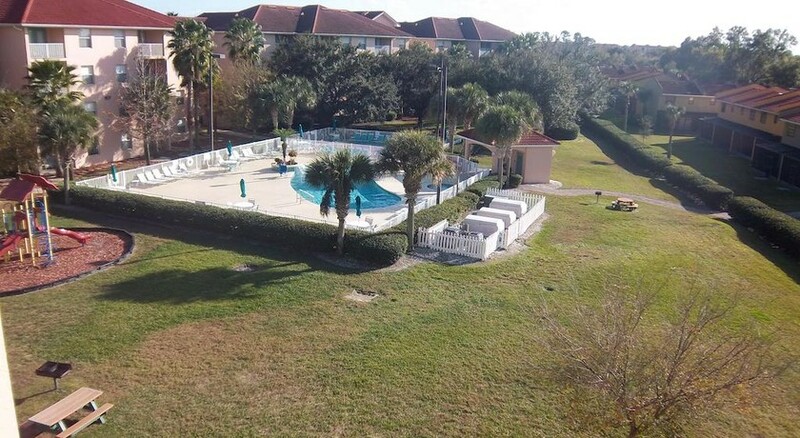 Fantasyworld Resort has host of amenities for those that wish to stay in-resort for a day, including three outdoor pools, on-site dining options, hot tubs and more, so children and adults alike will have a great time staying in this convenient property. 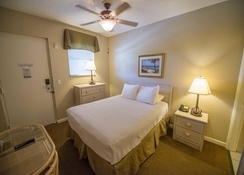 Situated in Kissimmee, Fantasyworld Resort is just south of Orlando and provides easy access to the main theme parks and other attractions in the area. Disney’s Hollywood Studios (4.7 miles), Epcot (4.8 miles) and SeaWorld (5.3 miles) are all within close proximity of the resort. 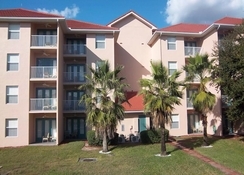 You can also easily get to Walt Disney World (8 miles) and Universal Studios (9.6 miles) from here. 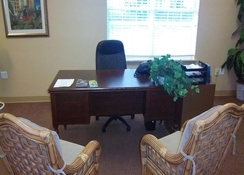 The closest golf course is only 1.2 miles away and it is 12.6 miles from the Orlando International Airport. 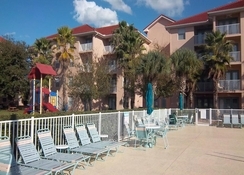 Fantasyworld Resort consists of Two Bedroom townhouses which can sleep up to six people and are perfect for families to enjoy a sunshine holiday in Florida. They have two single beds, one double bed and one sofa bed. 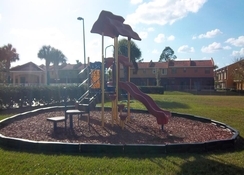 Each townhouse has a fully equipped kitchen and living room with dining area and they also come with Wi-Fi, cable TV and laundry facilities. The comfortable townhouses come with fully-equipped kitchens so you can prepare your own meals at your leisure. There is a restaurant just 200 yards from the property and there is also a pool bar on-site, if you wish for refreshments during the day. The Fantasyworld Resort has a range of recreation amenities including heated pools, hot tubs and water slides. 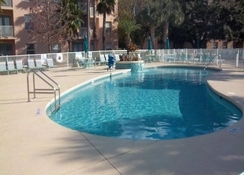 The resort has a fitness center with sauna and steam room and the property holds move nights and a host of the activities such as bingo, poolside games and mini golf. The nearest golf course is just over a mile away while it also provides a free shuttle service to Lake Buena Vista Factory Stores. 2 heated pools and 3 Hot Tubs Lazy river (heated) 2 Water Slides (heated) (must be 48″‘ to ride) Kid’s splash pad Children’s playground Mini Golf Pool Bar/Lobby/Lounge Fitness center with sauna and steam room Movie Night: Inside the Activity Center with popcorn Craft Cove: Choose from a variety of crafts such as sand art, piggy banks, sun catchers, and more! Activity Center Free shuttle to Lake Buena Vista Factory Stores Weekly Housekeeping Charcoal Grills, Gas Grills and Picnic Tables throughout the resort Wireless Internet in every villa and pool areas Business centre Scheduled transportation to Walt Disney World®, Universal Studios Orlando & Sea World Tennis, Basketball, Batting Cages (Softball & Baseball), Shuffleboard, Bocce Ball & Covered Playground Poolside Games: Hula hoop contests, jump rope contests, mini golf challenge, frisbee challenges, football toss games and more! Bingo: Choose from Adult Cash Bingo all the way to Kids Candy Bingo!